The second generation 2016 Audi Q7 comes to the Detroit Auto Show taking the front stage for the German automaker. 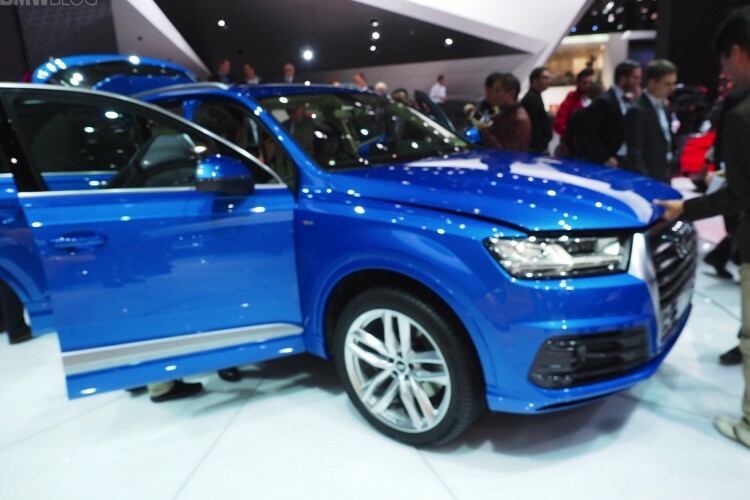 Building atop the success of the first Q7, the new model is not only lighter, but also more fuel efficient. 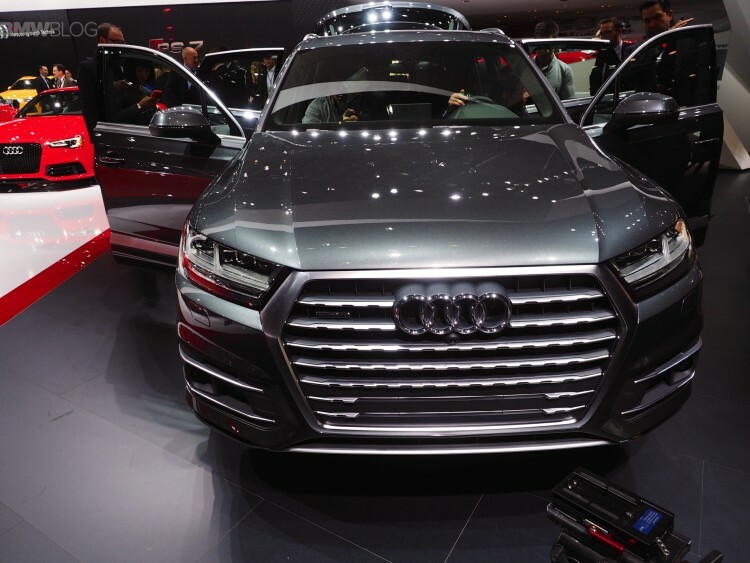 Thanks to the use of aluminum and hot-shaped steel, the Q7’s weight has been reduced to increase its agility and sportiness. The MLB platform from VW will allow the massive Q7 to accommodate a range of engines, including a 3.0-liter, supercharged V6 and 3.0-liter TDI for the U.S. market. Efficiency plays an important role in Ingolstadt also so a diesel plug-in hybrid is available as well. Design wise, the Q7 features a single frame grille decorated with aluminum and surrounded by lots of LED lights. Audi’s large taillights aren’t as aggressively angled as Audi’s other crossovers. The interior is what we typical expect from Audi: lots of gadgets, a flashy design and premium. A 12.3-inch TFT display takes the place of a conventional instrument cluster, while the center stack is crowned by its very own display. Audi rounds out the cabin tech for the Q7 by offering not one, but two premium sound options, one from Bose and one from Bang & Olufsen, both featuring 3D. Optional, Audi offers Android-based tablets for rear-seat entertainment and to control other features of the car. Connecting to the car over Wi-Fi, these tablets let passengers program music, set destinations for navigation and even view vehicle data.